?For our wrestling is not against flesh and blood, but against the principalities, against the powers, against the world's rulers of the darkness of this age, and against the spiritual forces of wickedness in the heavenly places.? ? Ephesians 6:12 In Jessie Penn-Lewis, we hear the voice of a veteran in the everyday conflict with ?powers and principalities.? 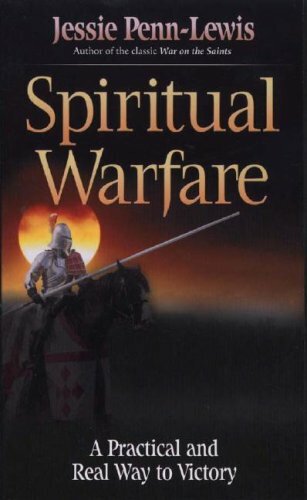 Her remarkable insights on prayer warfare are thoroughly Biblical and intensely practical. By applying the principles of spiritual battle to the common issues of personal prayer and the daily Christian walk, Penn-Lewis answers many relevant questions, such as: How do you define true guidance? How long should we keep asking for the same thing? How can we be sure we are obeying God only?